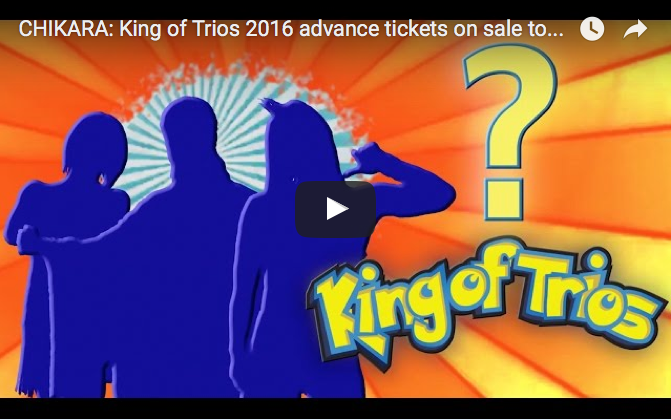 First Trio for King of Trios 2016 Revealed! All tickets will be on-sale tomorrow afternoon at 12:00 pm Eastern standard time, CHIKARMY! Previous Previous post: Chikara entrance themes aplenty today! Next Next post: Overtaken #2 Preview from Aspen Comics.